Payable and receivable services for businesses of any size. Streamline cash flow and plan daily cash needs for your business. Transfer funds electronically to domestic and international vendors. Foreign check processing and document collection. Pay employees, vendors and taxes electronically. Make more payments with less reconciliation time and more earned revenue. Help with e-commerce, security, payment acceptance and more. Collect international payments quickly, with fewer delinquencies. Let us collect payments and have them transported directly to the bank. Deposit checks at your desktop computer. Receive payments electronically and reduce expenses. Resolve time-consuming, complicated bill payment and invoicing tasks with a simple solution designed specifically for small businesses. 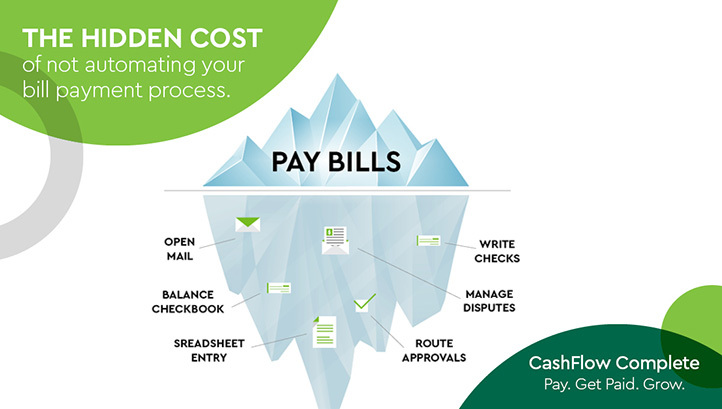 CashFlow Complete allows you to automate the end-to-end process of paying bills, invoicing customers and collecting payments. Shield your business from cybercrime and payment fraud by reducing your risk from unauthorized electronic transfers, counterfeit checks, forgeries and bookkeeping discrepancies. From healthcare to real estate, we have a variety of services made for your business.